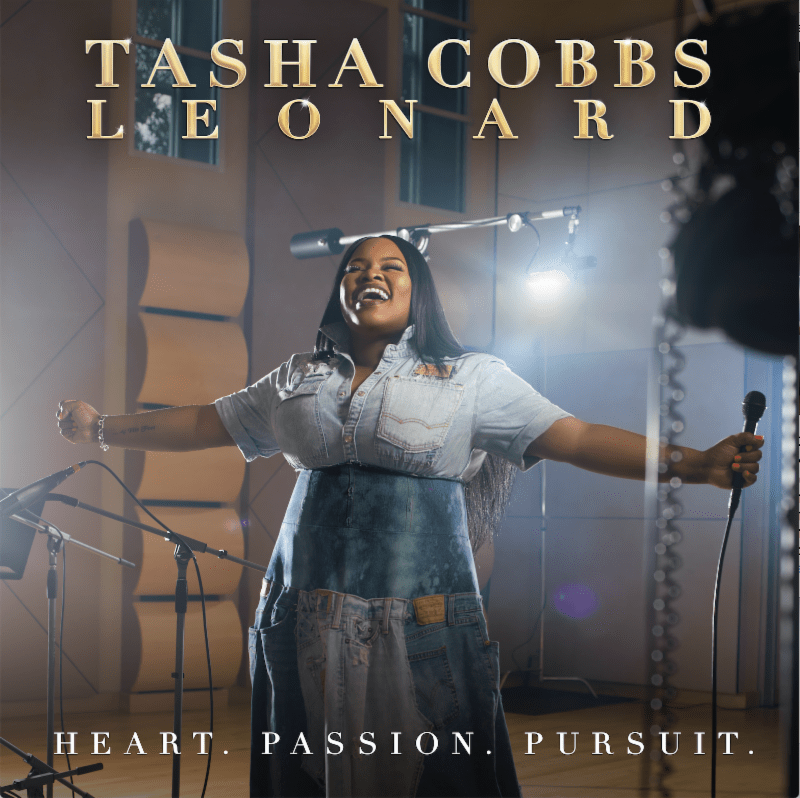 Multiple-award-winner, and top-selling artist Tasha Cobbs Leonard earns her second Billboard Number 1 album with HEART. PASSION. PURSUIT. Since its release on August 25, 2017 by Motown Gospel, the Grammy® Award winner’s third album has also generated an historic 2 million+ streams in one week, dominating streaming and online platforms, and continuing last year’s distinction as Billboard’s Most Streamed Artist in gospel music. The passion and energy Cobbs Leonard poured into this album has paid off with a stellar week of sales and streams. Not only has HEART. PASSION. PURSUIT. seen the highest-selling week of any gospel album this year, the album released at a record-breaking pace earning the largest streaming debut in gospel music. HEART. PASSION. PURSUIT. has been generating incredible buzz since its unparalleled week-long recording in Atlanta, GA earlier this year. Bringing together worship leaders from around the country, Cobbs Leonard sought to create a sound unlike anything that has been heard in the genre. Tasha Cobbs Leonard continues to criss-cross the country with concerts and appearances in support of the album. In conjunction with her New York City tour stop on October 19th, Cobbs Leonard kicks off the HEART. PASSION. PURSUIT. FLY AWAY contest, where one lucky fan will win a trip for two to New York City to meet Tasha and attend her show at B. B. King’s Blues Club & Grill. The contest opens TODAY and fans can enter by visiting http://smarturl.it/HPPFlyAway. Rules and details are listed online and the winner will be announced on Tasha’s Instagram page (@tashacobbsleonard) on Monday, September 25th.